Want the flavor without the salt? Need to control your sodium levels but can’t give up that fabulous Dizzy Pig taste? 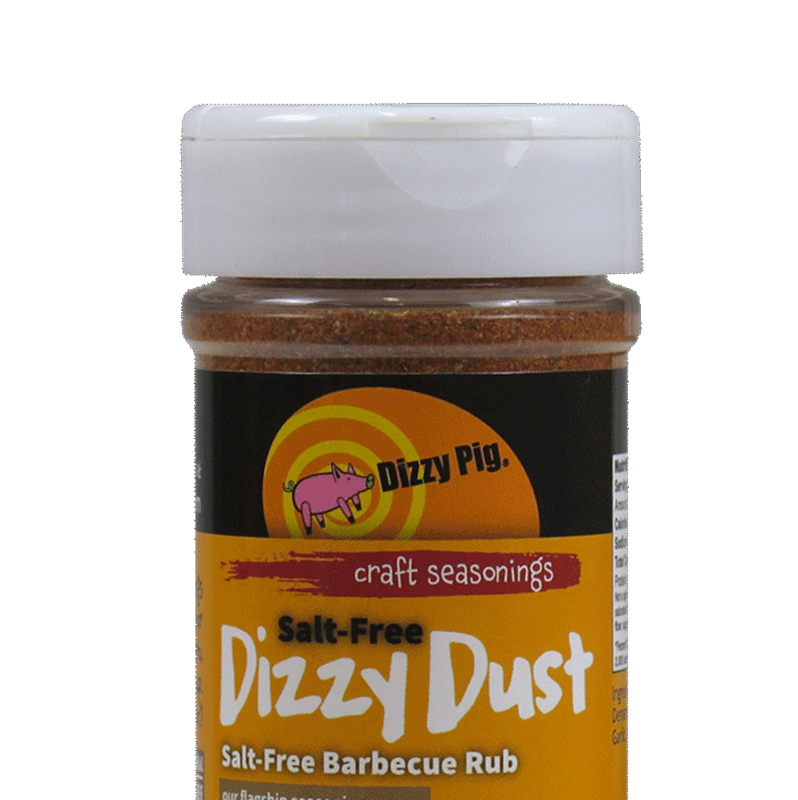 You’re in luck with Salt-Free Dizzy Dust All Purpose Barbecue Seasoning. Whether you need to avoid salt, are cooking for a companion suffering from hypertension or just want more flexibility with your seasonings, you’ll find it here. Perhaps you just want to add some flavoring to already salted, cured or brined meats and haven’t had any luck. Again, we’re on it. This seasoning relies on the same flavors as Dizzy Dust, with pink peppercorns and smoked Morita chilies playing side by side, accompanying cured meats, brined chicken and pork, and even potato chips in style. That’s right … we said potato chips. Exactly the same as Dizzy Dust in every way except the sodium, you’ll find this rub perfect for low-salt and no-salt diets.